This entry was posted in Future Releases on August 28, 2014 by admin. This entry was posted in Future Releases on August 26, 2014 by admin. Vehicle that has been developed aimed at four consecutive tournament will be held in the United States Florida in 2014 in the IFMAR 1/10 Electric Touring Car World Championship. Significant changes have been made ​​to the central parts that affect the traveling chassis layout, bulkhead, motor mount, damper and gear diff. New machine of its time, the fourth generation of FF chassis adopts the TRF418 suspension that was designed with the feedback and the proven gear box of the XV-01, the data that has been cultivated in the race scene as the front motor chassis, with almost all newly designed parts. In addition to the increased strength of the entire chassis, new part Carbon Lower Deck (2.5mm thick), Carbon Upper Deck and Aluminum Bulkhead was also utilized to optimize weight balance. This entry was posted in Future Releases on August 20, 2014 by admin. This entry was posted in Future Releases on August 15, 2014 by admin. 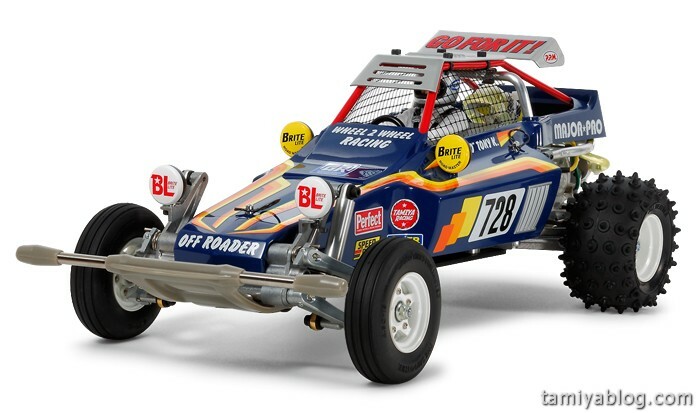 September future releases – Tamiya Super Champ is coming back! ★ Basic configuration of fighting buggy which appeared in 1982, high-performance has attracted attention is the reprint was made improvements to various parts intact. ★ Adopt main frame of 2.5mm thickness made of FRP ★ Front and rear suspension using strong die-cast arms. ★ Body in reinforced plastic with high sense of precision, the roof is made of aluminum. ★ Style to advance the cockpit, made up of a smooth surface can exhibit a high aerodynamic effect. 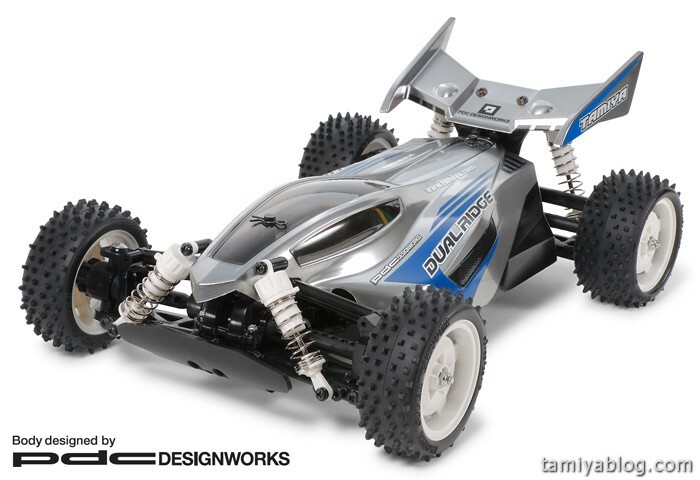 Newcomer of the basic 4WD buggy, dual ridge is introduced. 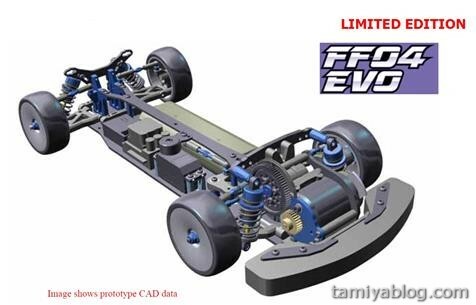 ★ Chassis adopts the TT-02B of the shaft drive 4WD with excellent maintainability and easy to assemble. ★ Independent double wishbone suspension with long arms and CVA oil dampers. This entry was posted in Future Releases on August 6, 2014 by admin.